Most of HUB Team members are attending to JOBIM conference this week. Kathryn E. HOLT will present SRST2 program, designed to take sequence data, a MLST database and/or a database of gene sequences (e.g. resistance genes, etc) and report the presence of STs and/or reference genes. For more information, see: Inouye et al, 2014. 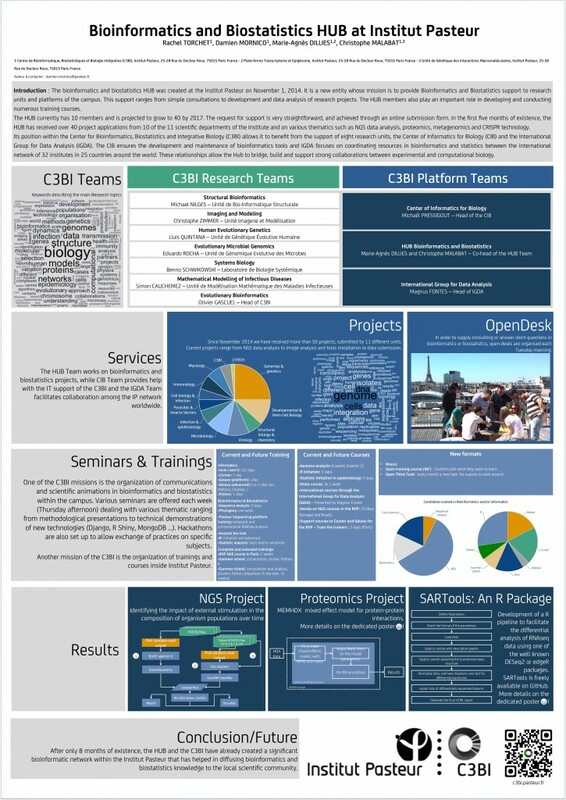 SRST2: Rapid genomic surveillance for public health and hospital microbiology labs, available at http://genomemedicine.com/content/6/11/90 Please join us and share your experience, views and thoughts on the talk. Emmanuel QUEVILLON will present on his experience with Django (https://www.djangoproject.com/), an excellent python tool for rapid web development used by many large scientific (and other) organizations around the world. Emmanuel will build a simple web application to demonstrate the power of Django and will then use his production demultng application to exhibit some other interesting things that can be done with Django. Please join us and share your experience, views and thoughts on the talk and coding in general. We want this meeting to have an interactive and lively atmosphere with many debates on what is considered the “best” way.